An estimated 1 in 10 Australians and 1 in 6 Americans are taking antidepressants, but research shows that while these professional prescribed medications can be beneficial for many people, it can also have potentially nasty side effects. These include tremors, headaches, indigestion, vomiting and even insomnia. The good news is that if you are experiencing any of these symptoms, you can try these healthy alternatives. 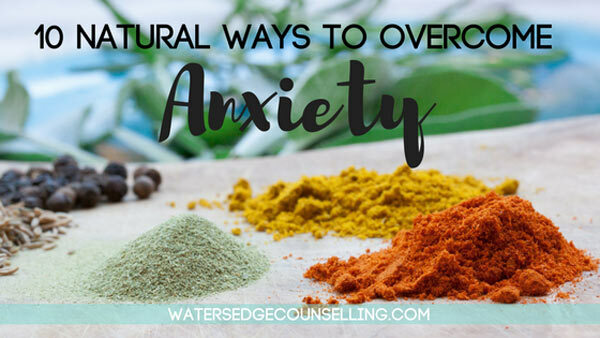 Good natural ways to overcome anxiety are to eat certain foods that boost your mood and take up activities that calm your mind. Examples for stress reducing foods are fish and walnuts, which contain Omega-3 for healthy brain cells. Turmeric is a great spice, which works as well as the popular drug Prozac and can be consumed in any amount. Another popular choice is the St. Johns Wort herb, which has been used as a natural antidepressant since the Renaissance. Activities include exercising, meditation and certain breathing techniques are also great natural cures for anxiety. Working up a sweat for just 30 minutes three times a week will make a big difference in mood and stress levels. And doing it outside provides even more benefits because the sun recharges your Vitamin D deposit, which has a big effect on your mood. Mindful meditation helps you find peace with your inner self. If you’ve tried medication and are unhappy with the results, * or you are looking for a natural alterative, start by eating well and having an active lifestyle. This has a huge impact on your journey to an anxiety-free life. Are you interested in the natural ways you can manage anxiety? Would you like support before you head to your doctor to talk about anti-depressant medication? Here’s what you need to do: contact Colleen on 0434 337 245 or Duncan on 0434 331 243 for a FREE 10-minute phone consultation on how we can best help you, or press book now to book on our online diary. *Speak to your doctor or a medical professional before making any changes to your prescribed medication. If you are experiencing any physical or mental symptoms that concern you after choosing natural remedies, speak to your doctor immediately.